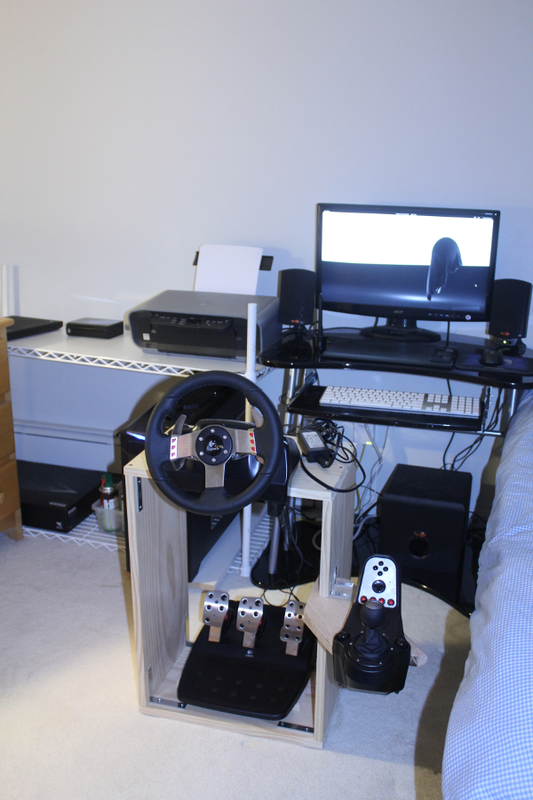 One of the things I really enjoy doing is playing racing simulators. I spend my spare time making careful turns, trying to conserve gas and tire wear while making the final turns in an intense, 90 lap GT style race. 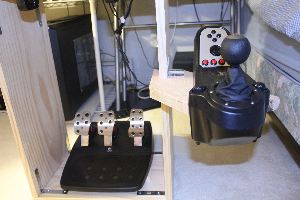 To complete my simulation, I use a Logitech G27 racing wheel. Over the year that I’ve had my wheel though, mounting it has been a major issue. My usual solution was to drag the bench from our organ in front of the TV. This is no easy task, since I need to lift and carry it over two separate couches and a coffee table. 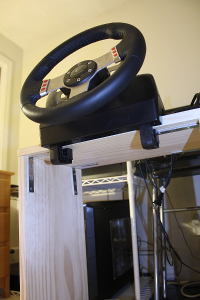 As such, I decided I needed a better solution: a racing wheel mount. This was a pretty straight forward project. I used a set of notches to hold the shifter mount in place, so that was probably the only tricky part. The rest was just a matter of cutting a few straight lines and drilling a few holes. 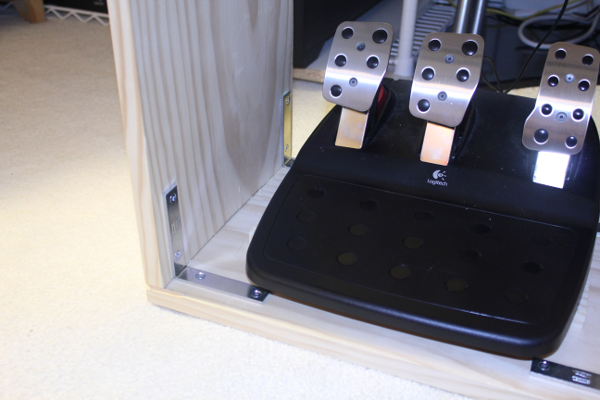 The shifter mount is made out of red oak for durability.